Photo Release -- Northrop Grumman-built Aegis Destroyer Dewey (DDG 105) Completes Successful "Super Trial"
PASCAGOULA, Miss., June 30, 2009 -- Northrop Grumman Corporation's (NYSE:NOC) Aegis guided missile destroyer Dewey (DDG 105) successfully completed her combined super trial last week in the Gulf of Mexico. The successful sea trial paved the way for delivery to the Navy later this summer. The destroyer is being built by the company at its Gulf Coast facilities in Pascagoula, Miss. "This super trial represents another cost savings initiative developed in partnership with the U.S. Navy. Combining builder's and acceptance trials into one three-day event eliminates significant cost from the delivery process," said Irwin F. Edenzon, sector vice president and general manager, Northrop Grumman Shipbuilding - Gulf Coast. "I'm not only proud of our shipbuilders who built Dewey, but also our test and trials team that worked with the Navy throughout the trials process. Their focus on excellence allowed us to complete this trial successfully as we continue to prepare for delivering our 26th Aegis destroyer to the Navy." Super trials have been conducted on five of the last six destroyers built by Northrop Grumman Shipbuilding - Gulf Coast. However, the combined trial on DDG 105 marks the first of its kind since Hurricane Katrina. "I think both Northrop Grumman and the Navy team should be very proud of what has been accomplished on this sea trial," said U.S. Navy Capt. Mary E. "Beth" Dexter, Supervisor of Shipbuilding, Gulf Coast. "This is my last trial on a DDG, and from what I've seen, this is the finest warship in the world bar none. And the shipbuilders should be very proud of the service that they do for the Navy and the nation." 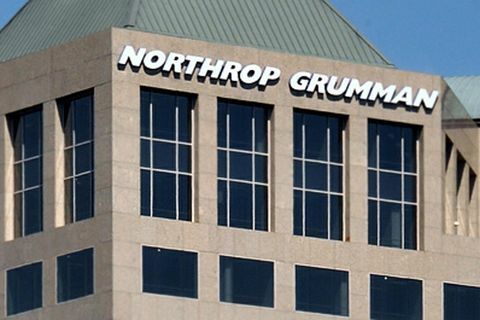 During the trial, Northrop Grumman and the U.S. Navy's Board of Inspection and Survey (INSURV) tested the ship's weapons, communications, and propulsion systems as well as conducting several other inspections including habitability, water purification and food preparation. 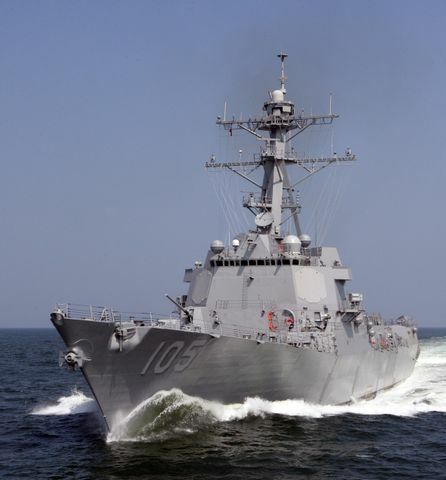 "I want to congratulate the shipbuilders from Northrop Grumman and Supervisor of Shipbuilding, Gulf Coast for an outstanding super trial," said Northrop Grumman's DDG 51 program manager George Nungesser. "I'm very proud to be part of the team. We have a lot of things in common, but what we have most in common is our heart. It took a lot of heart to get 105 where she is today." U.S. Navy Commander Warren Buller is the ship's first commanding officer and will lead a crew of over 300 officers and sailors. The 510-foot, 9,500-ton Dewey has an overall beam of 59 feet and a navigational draft of 31 feet. Four gas-turbine propulsion plants will power the ship to speeds above 30 knots. This highly capable multi-mission ship can conduct a variety of operations, from peacetime presence and crisis management to sea control and power projection, all in support of the United States' military strategy. Dewey will be capable of simultaneously fighting air, surface and subsurface battles. The ship contains a myriad of offensive and defensive weapons designed to support maritime defense needs well into the 21st century.